Thousands of Classes. Any Amount. No Expiration. Gift cards are delivered at 8am EST. If your delivery date is today and it is after 8am EST, your gift card will be delivered immediately. Schedule your delivery for the future by choosing a different date above. FitReserve is the premier fitness membership that allows you to mix and match classes from a curated selection of hundreds of top studios and thousands of classes in New York City, Boston, Washington, DC, Los Angeles, and Chicago. Boxing, barre, bootcamp, yoga, indoor cycling, Pilates and so much more - FitReserve is the perfect gift for the fitness aficionado in your life or someone who is looking to try out new classes and studios for the first time. FitReserve provides access to full studio schedules with no blackout times. Gift cards never expire, so they can be redeemed at any time! 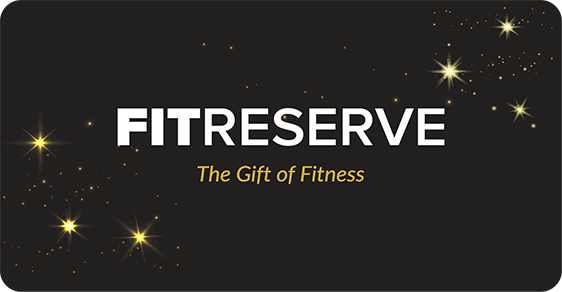 Gift cards can be redeemed through the FitReserve website and may be used towards any membership plan offered. If you are a new member, simply select a plan in New York City, Boston, Washington, DC, Los Angeles, or Chicago and enter the gift card code on the checkout page. If you are an existing member, login and go to “My Account” and click “Redeem Gift Card” and the gift card amount will be credited towards your next billing cycle. Recipients will be required to put down a credit card for any late cancellation/missed class fees and /or if the gift card amount doesn’t cover the entire cost of the plan selected. Gifts apply to subscription costs only. There is a $10 minimum purchase amount and no maximum purchase amount. Membership plan pricing varies by city and after the gift month, memberships auto-renew every month but can be canceled at any time. We do not currently allow promotional codes to be used on gift card purchases. However, if the recipient has a promo code they want to use, they can still apply the promo code when redeeming the gift card. All gift card purchases are final sale and cannot be refunded. At this time we only offer electronic gift cards. Send the eGift Card directly to your friend's email inbox and it will be delivered right away or on the date you specify. Is there a recommended amount? You can purchase a gift card of any amount! As a reference, New York City monthly membership plans start at $59 per month and Boston, Chicago, Los Angeles and Washington, DC monthly membership plans start at $55 per month. Sales tax is applicable in certain markets. Any gift cards redeemed towards memberships are subject to the same terms and conditions applicable to any plan purchased. See FAQs for details.